Start taking classes at Five Animals Kung Fu Academy and other studios! 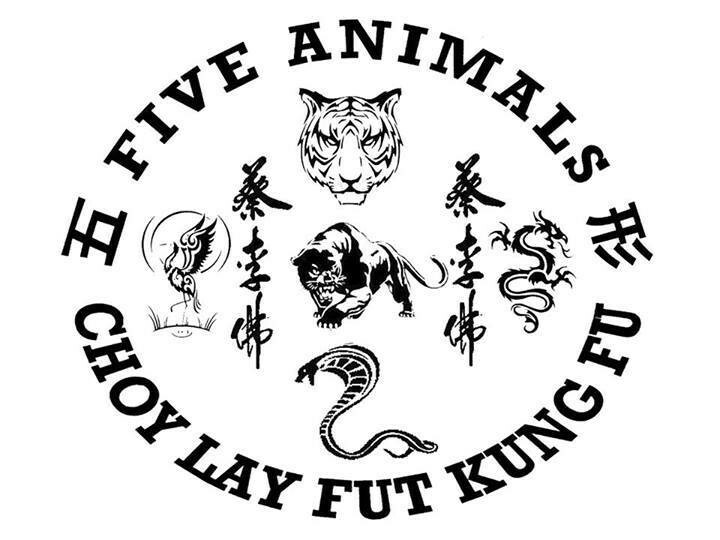 Five Animals Kung Fu Academy is a community martial arts school offering classes in Kung Fu, Kickboxing, Women's Self Defense and bootcamps for a well rounded education in Chinese Martial Arts! Please bring workout gloves and boxing gloves. Sifu Cindy taught the class. Small class. Boot camp style. One minute intervals of many different drills to keep it interesting. Fantastic workout. Cindy is very nice. I really liked this class. Parking can be a challenge. Cindy was such a welcoming and great instructor! this class was a great way to start my Saturday morning and is good for all levels! Thanks for the feedback. This is an all level class. We focus on specific techniques or drills. Majority of our students have been training for years. Let us know what you want to focus and we can help you. This is a great group and the instructor is really great at adapting for all levels. The class works for beginner to advanced. great, welcoming and positive environment! !